The distinguishing features of the Norma collection are its clean-lines and versatility of style. Upholstered in warm materials like hide or cuoietto or padded leather, Norma is perfect for the most classic and refined settings. Covered in fabric in a wide range of colours, the range enhances any contemporary space with a fresher, more informal spirit. The Norma collection has a steel structure with polyurethane padding. 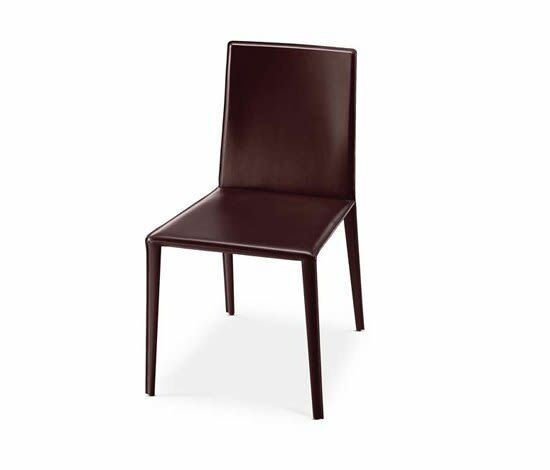 The range is available in chair – with three backheights –, stool and lounge armchair models. The leather or grade 2 hard-leather covered versions are also available with a decorative zip outline. A wide range of colours is available for the new finishes in fabric, leather or customers’ own fabric.Particularly suitable for contract settings is the special stackable version, which comes padded and with medium-height back.